Dr. Hardy discussed the ways that trauma underpins the everyday life experiences of most children and families involved in therapy. He highlighted the ways ignoring the impact of the trauma on the client’s family overlooks powerful dynamics that are crucial to treatment outcome. Alumni explored ways to involve the trauma sufferer’s partner and other family members as resources in the healing process. Participants also learned how to better educate clients about the typical symptoms of trauma, the stages of trauma recovery, how to help family members both soothe and set limits with the traumatized person, and the typical pitfalls families encounter-including the depleting response of “enough already”-as a family member tries to heal from a trauma. The presentation devoted special attention to examining the critical intersection that often exists between trauma and the dynamics of socio-cultural oppression. 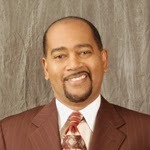 Dr. Kenneth Hardy is an internationally recognized clinician, author, and trainer. He is also the Director of the Eikenberg Institute for Relationships in New York City where he maintains a private practice specializing in working with traumatized and oppressed populations.